Good morning, readers, and happy Wednesday! I hope you're enjoying your week so far and that you had time to catch my column last week. I was lucky enough to chat with Manuel and Maria from LASSO about how they started their business, the pros and cons of being a business owner and what it's like to work in the pet industry. If you follow my columns, you know that we recently adopted a puppy. We're in the middle of behavioral-training craziness right now, and it got me thinking about all the confusion around negative reinforcement. Many people don't understand exactly what it is, and they often confuse it with punishment. According to science, however, the two are not the same thing. Most people understand that positive reinforcement is the act of rewarding desired behavior. For example, when you're training your dog to “sit” and he sits down on command, you reward him with a dog treat or some extra attention. This is where the confusion begins. It is not called positive reinforcement because it is a positive experience for the dog. It's positive because something is added to the puppy’s environment. In reinforcement theory, positive refers to adding something and negative refers to taking something away. Think of them as mathematical terms. Positive reinforcement represents adding something to the dog’s environment, and negative reinforcement represents subtracting something from the dog's environment. Therefore, negative reinforcement is not the same as punishing a dog for performing an undesirable act. Negative reinforcement is the removal of something from the environment when you don't get the result you want. For example, if your dog knocks the trash can over and you slap him, according to reinforcement theory the slap is considered positive reinforcement. Although it is a negative experience for your dog, you are still adding something to his environment. Rewarding your dog with a game of fetch or some tug time after a training session is a great means of positive reinforcement. However, if your dog did not listen to you during the session and he did not perform the actions that you wanted him to, you would take away the reward, right? That's negative reinforcement! You're removing something from the situation. Most people associate the word negative with something bad or unpleasant, so I can easily see where the confusion comes in. In fact, it's not uncommon to hear professional dog trainers confuse negative reinforcement and punishment. I've even caught the confusion in some dog training books I've read. NEGATIVE REINFORCEMENT HAS NOTHING TO DO WITH PUNISHING YOUR DOG PHYSICALLY FOR NOT LISTENING TO YOU. So now that we understand what negative reinforcement is, we need to discuss the humane and inhumane (in my opinion) ways that it is used to train dogs. As I mentioned above, if you take a toy away or put the dog treats up because your pet didn't listen to you, it will eventually teach him that he needs to listen in order to earn his reward. You are removing something positive from the dog's environment in order to teach him. This is the humane way to use negative reinforcement. Then there is the inhumane way to use negative reinforcement in dog training. Some dog trainers believe that it is more beneficial to remove something negative from a dog's environment in order to train him. 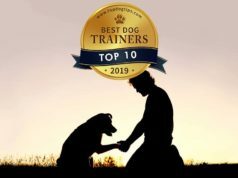 These dog trainers don’t just wait around for something unpleasant to happen to the dog so that they have the opportunity to remove the unpleasant thing. Instead, they train dogs in a way that allows them to remove something unpleasant under controlled conditions; i.e. the trainer has to apply the unpleasant thing to the dog in the first place. I find it hard to believe that anyone would think that this was the most beneficial way to train a dog, but it happens more than you think. An example of using negative reinforcement in this way would be if a dog trainer were to apply pain to the dog in the form of an ear pinch or a toe hitch, and then end the pain when the dog performs the task that he is supposed to. Whether effective or not, it is my opinion that this is an inhumane form of dog training that should not be used. Punishment in dog training is when you do anything negative to your dog that will make him want to avoid doing that behavior again. Punishment can be something as simple as a stern scolding or as severe as physically hurting the dog. I certainly won't say that we don't use punishment as a training method in our house, because we absolutely do. In fact, our puppy probably thinks her name is “No, Saddie! Down!” She gets scolded and we raise our voices when she is doing something naughty like jumping on the children. I won't get into it in this article, but we all know that there is a very definitive line between punishment and dog abuse. If you have any questions about what constitutes abuse, you need to make sure you clarify them before ever adopting a dog. Now why did I decide to talk about this with you all this week? Well, let's just say that my husband and I have gotten a lot of “advice” on how we should train our new puppy. Keep in mind that we have both been pet parents for many years, and we have both grown up around dogs our entire lives. That certainly doesn't make us experts, but I think it entitles us to not receiving unsolicited advice. No matter what we think, the advice from “helpful” family and friends continues to roll in. Over the last two months that Saddie has been with our family I have had to correct these “helpers” multiple times. We've heard people say that rubbing her nose in urine and throwing her outside is the fastest way to house train her. We've heard people say that slapping her muzzle each time she chews something she is not supposed to is the best way to keep her from eating our furniture. Nearly every time someone has given us advice involving punishing Saddie, they refer to it as negative reinforcement. And each time this happens I have to correct them and explain the difference between punishment and negative reinforcement. I've also given many lectures over the last couple of months about the importance of positive reinforcement, which is the only training method we use in our home. I may be biased, but at 14 weeks old our beautiful bundle of joy is fully house trained. It has been more than two weeks since she has had an accident in the house. She also already understands a few basic commands and will drop what she is chewing on if you say, “No, Saddie!” For the record, she is also getting much better about jumping on people although we haven't quite mastered that yet. It seems like positive reinforcement is certainly working in our household. Were you one of the many pet parents who were confused about exactly what negative reinforcement is and how it is used in dog training? I'd love to hear about your puppy training experience, and any tips and tricks that have worked for you. Let's Talk! >For example, if your dog knocks the trash can over and you slap him, according to reinforcement theory the slap is considered positive reinforcement. Although it is a negative experience for your dog, you are still adding something to his environment. The positive and negative refer to adding or removing something. The reinforcement or punishment refer to whether the behavior is increased or decreased as a result of the action. In this example, slapping the dog is positive punishment because something is added (hence “positive”) that will decrease the likelihood that he will get into the trash again (hence “punishment”). The only way slapping a dog for getting into the trash could be positive reinforcement is if it somehow made him more likely to get into the trash in the future.